Welcome to our Mediterranean healthy paradise. A place where the magic of its sunsets merges into an oasis full of peace, beauty, nature and where you can take the time to indulge in personal care, slimming techniques and healthy habits while pampering yourself. Come and enjoy a healthy life design hotel and look after yourself in the best way possible. Come to the Garden Holiday Village Hotel. 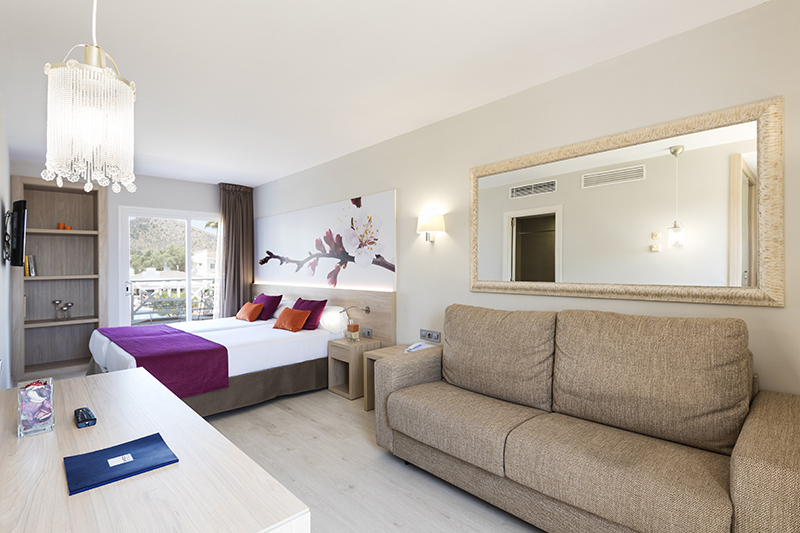 Located in one of the most exclusive areas of Mallorca, the Garden Holiday Village Hotel is an adult’s only hotel in Playa de Muro and is specifically designed to offer you a healthy experience during your holiday with your partner or friends. We want to share our healthy philosophy with you. We want you to take care of yourself with our help because you are of utmost importance and you deserve it. 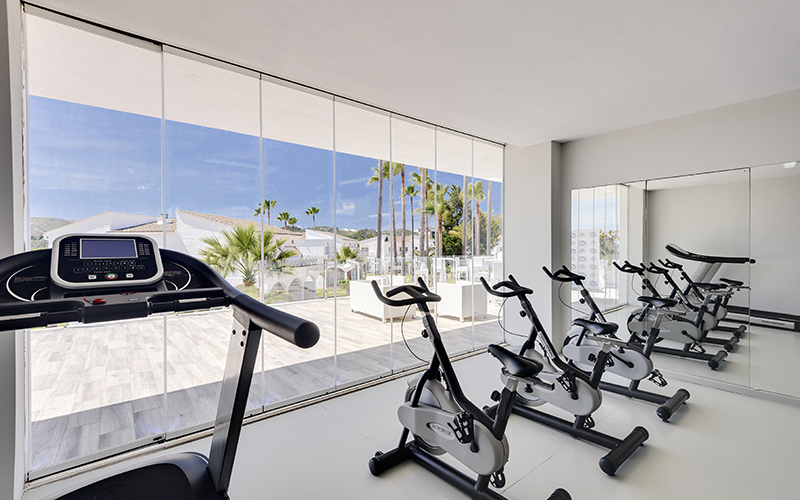 Therefore, let us tell you about our healthy living philosophy, through which you will achieve the perfect balance between body and mind while enjoying your holiday on the shores of the Mediterranean. Our new Samsara Body Slim package is a programme specially designed to offer you a healthy lifestyle combining food, exercise and carefully chosen activities carried out under the supervision of sports and health professionals. Take care of your body with our special diet and our fitness plans created to make you feel good during your healing holidays and getaways. Come and experience our weight loss retreat, available online at a guaranteed best price, on the official website of the Garden Holiday Village Hotel. Book now for an unbeatable offer and treat yourself to a healthy holiday on the beach. Let us help you take care of you. 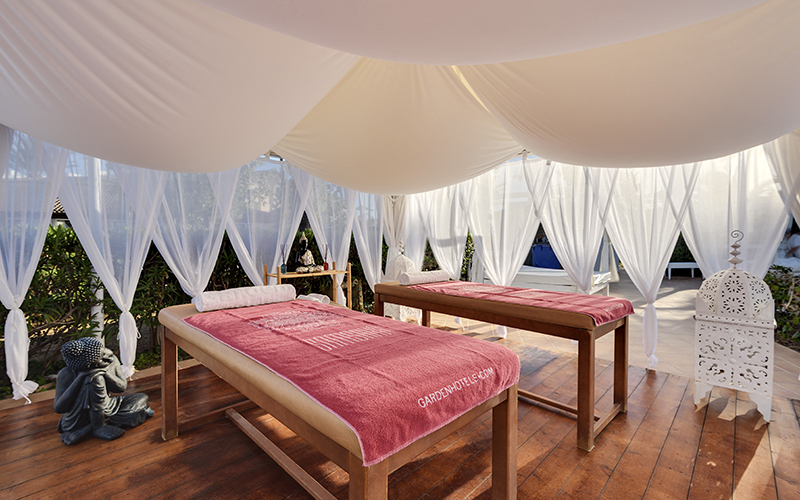 Enjoy your wellness break in Playa de Muro to the fullest. 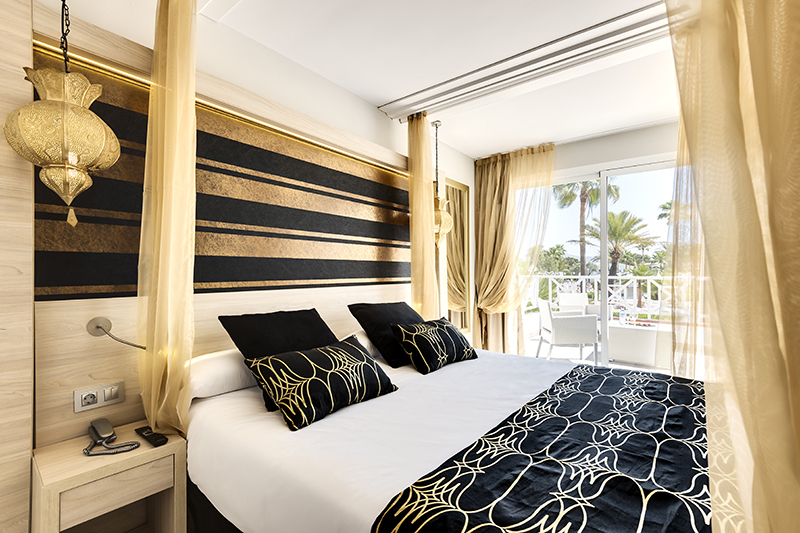 The Samsara suites at the Garden Holiday Village Hotel will delight you with their spaciousness, great design and extensive list of services. 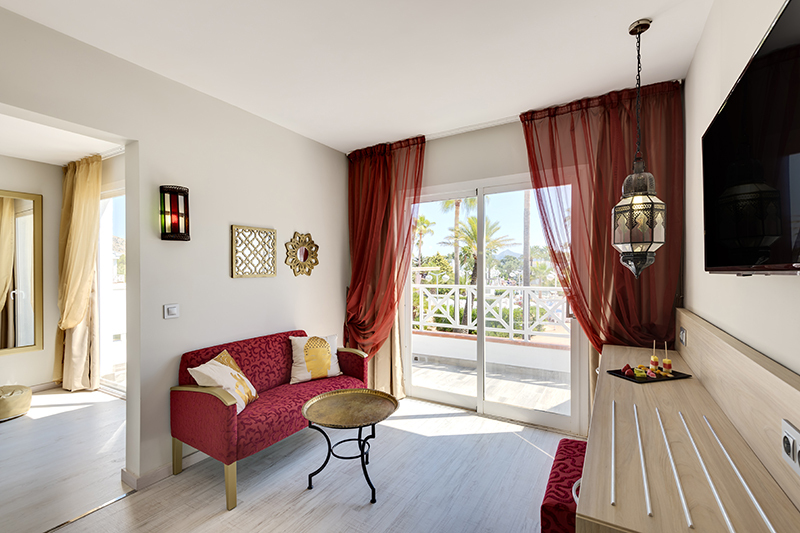 36 m² of peace and tranquillity where you can spend your healthy holiday: spacious bedroom, living room with sofa, private bathroom with shower and hairdryer, furnished balcony and an exclusive selection of services that will make you feel at home. 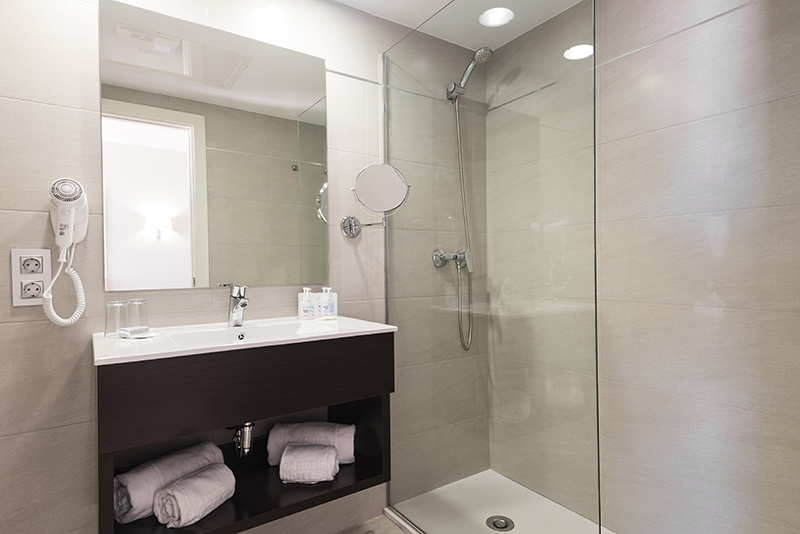 Pamper yourself like you deserve in the Samsara Healthy premium double rooms. The smallest details are taken care of so that you can enjoy true disconnection. These 26 m² rooms have a master bedroom, living area with sofa bed, bathroom with shower and a cosy private garden with a furnished terrace that will help make your stay unforgettable. The Samsara superior Healthy double rooms offer you the healthiest form of relaxation. 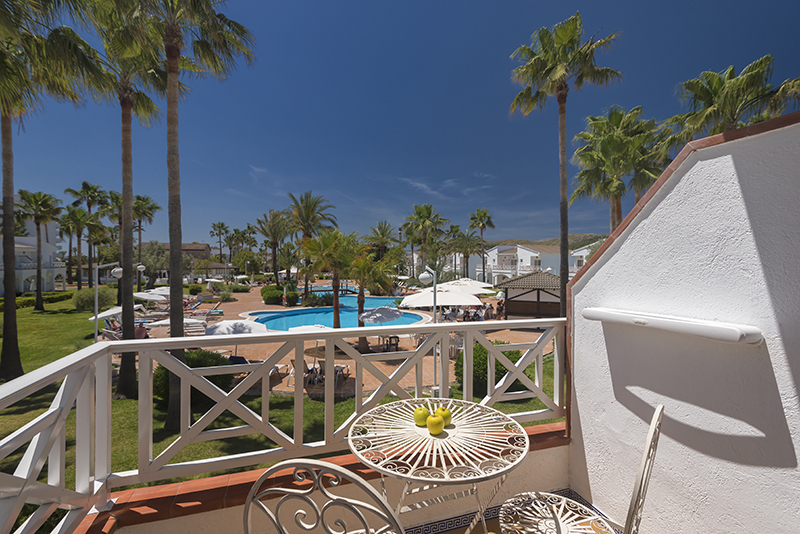 They are 26 m² rooms, in which you will have a furnished terrace or balcony overlooking the garden and the hotel pool, as well as a private bathroom with shower, flat screen TV, telephone, free Wi-Fi and natural light to light up your holiday in Playa de Muro. 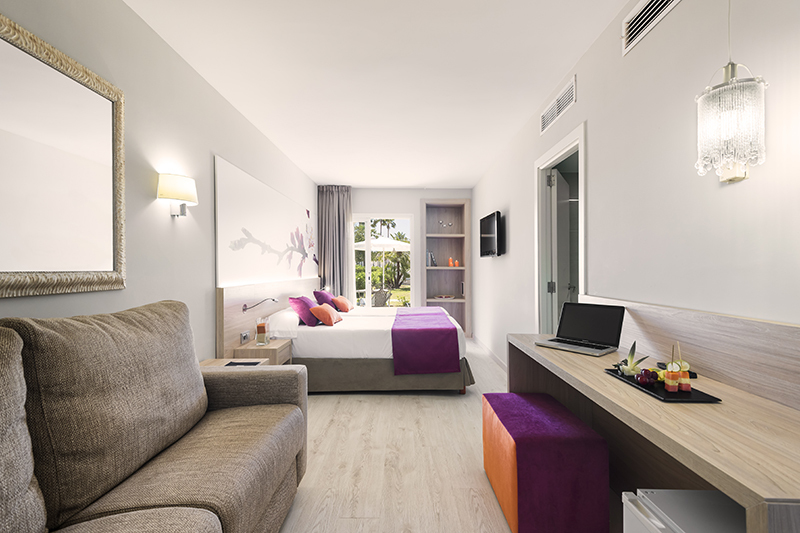 Enjoy complete accommodation and a healthy stay at the best value for money. Ideal for those who want to take care of their body and enjoy their holiday without any hassle. 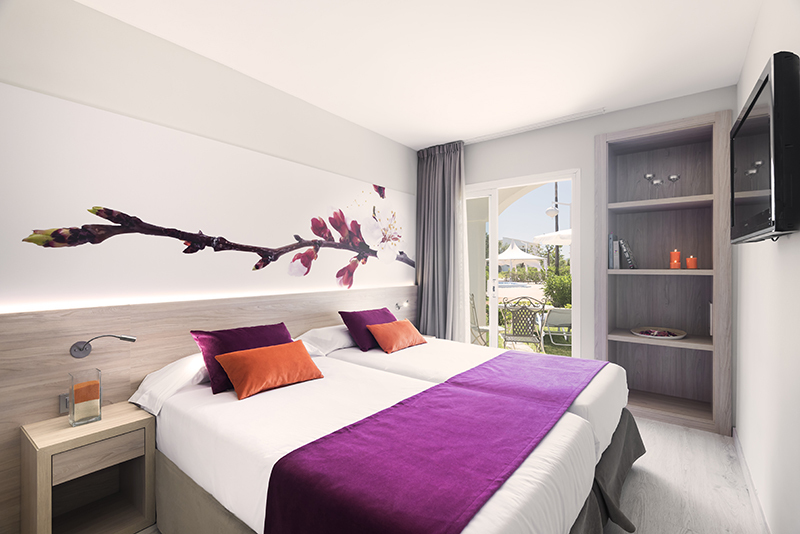 The Samsara Healthy double rooms at the Garden Holiday Village Hotel are a place where you can look after yourself with ease. 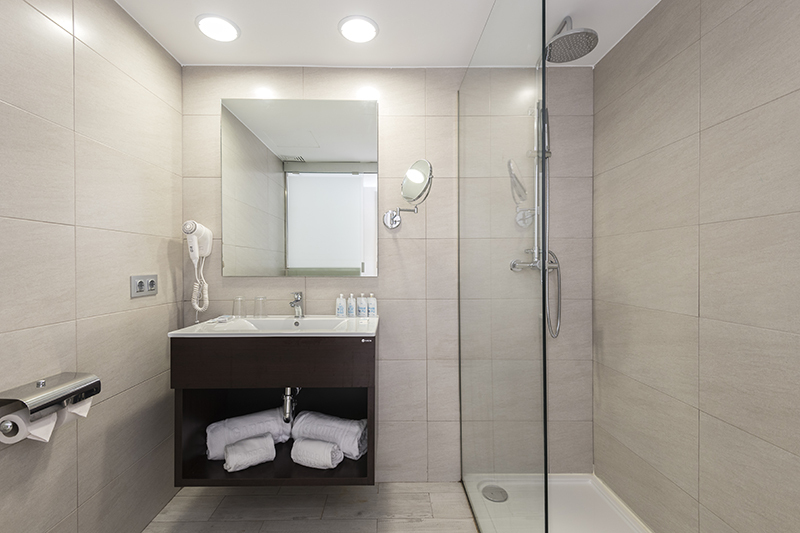 In these adult rooms you will find a sophisticated decor in warm tones, plus a master bedroom, private bathroom, balcony, TV, telephone, free Wi-Fi and an atmosphere designed to improve your well-being. If your passion is travelling alone then the Samsara Healthy single room is perfect for you. Here you will find a peaceful refuge in which to indulge in the pleasure of relaxation. 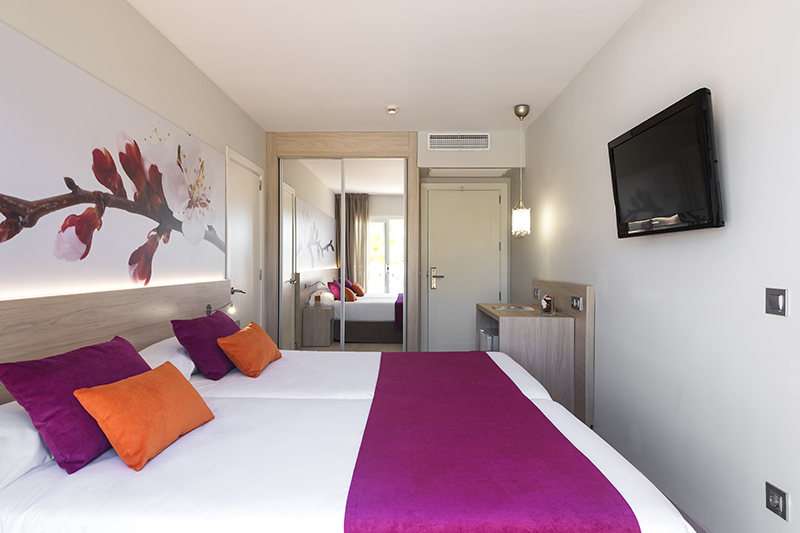 With a 15 m² space, these single rooms offer you a master bedroom, bathroom with shower and hairdryer, TV, telephone, free Wi-Fi and a really healthy atmosphere in which you can look after yourself and relax. 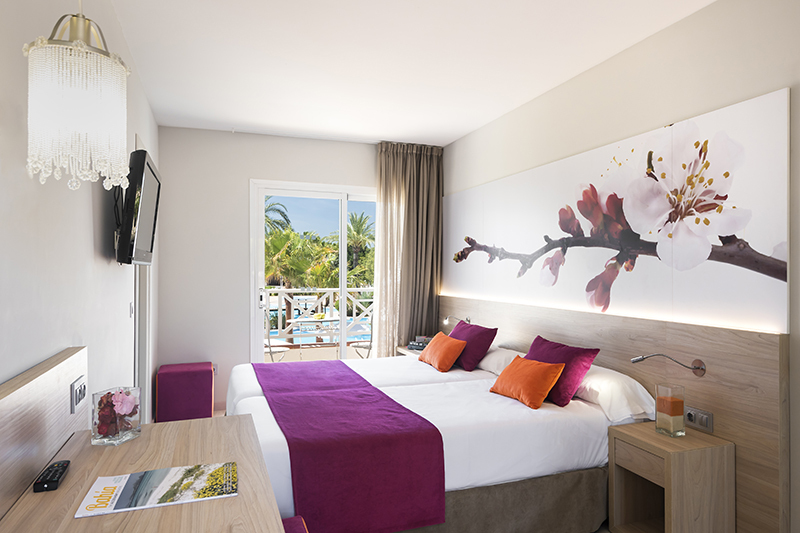 With spacious gardens, full facilities and a 4-star standard of service, the Garden Holiday Village Hotel is especially designed so you experience the best weight loss retreat and fully enjoy some healthy beachfront days on Mallorca. 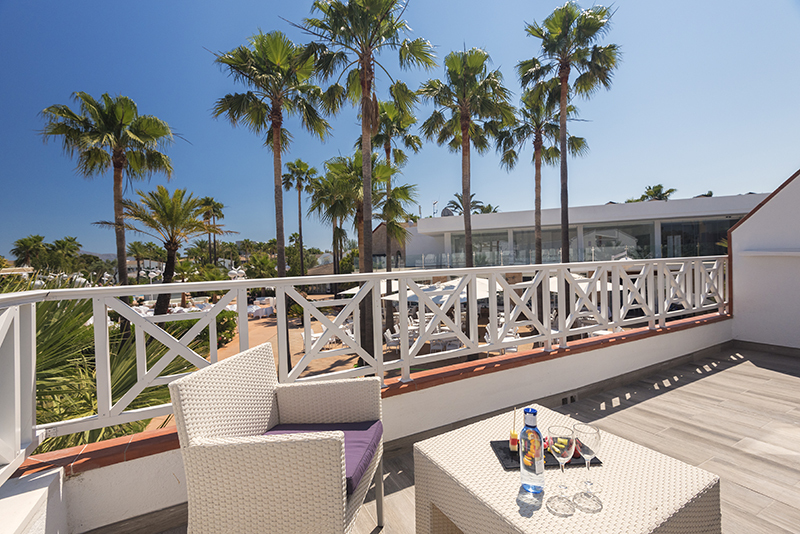 An exclusive restaurant, beach club, swimming pool, gym, sauna, jacuzzi, massage rooms…. Everything you need to completely unwind. 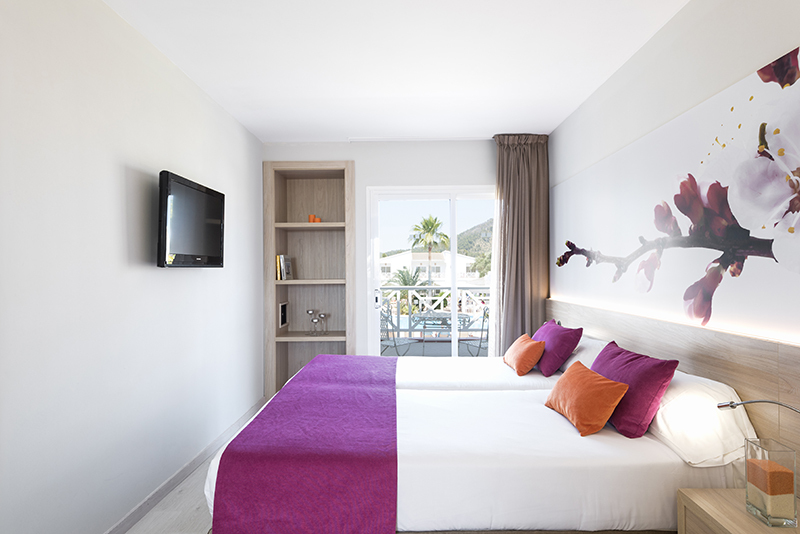 The Garden Holiday Village Hotel is in Playa de Muro, 750 metres from one of the most spectacular beaches in Mallorca, with crystal clear waters and soft, fine sand. 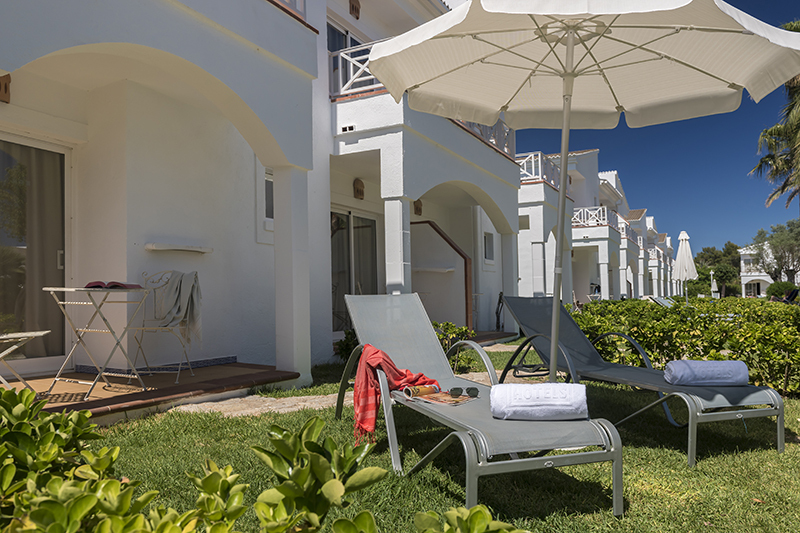 A sanctuary of relaxation, sun, sea and natural surroundings where you will spend unique moments and ideal for a healthy getaway with your partner or friends. 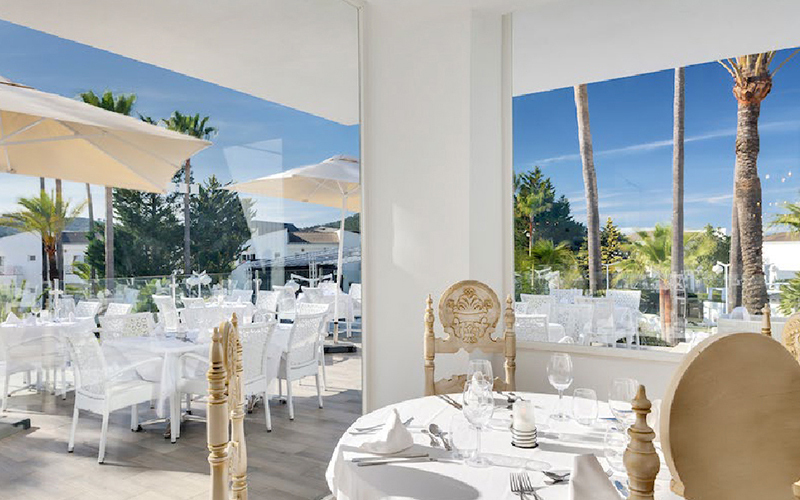 This establishment is located on the north west coast of Mallorca, only 60 km from the city centre, Palma de Mallorca, and Son Sant Joan Airport.